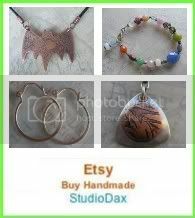 Or… 2010, Tying up Loose Ends at StudioDax! Well… it’s the end of the December, and no matter how I plan for the end of the year, it always seems to sneak up on me. I like to spend a little time thinking about what I’ve done over the past 12 months – the pieces I’ve created, the classes I’ve taught, and the techniques I learned. Taking stock of the past helps me decide the direction I want to go in the future. 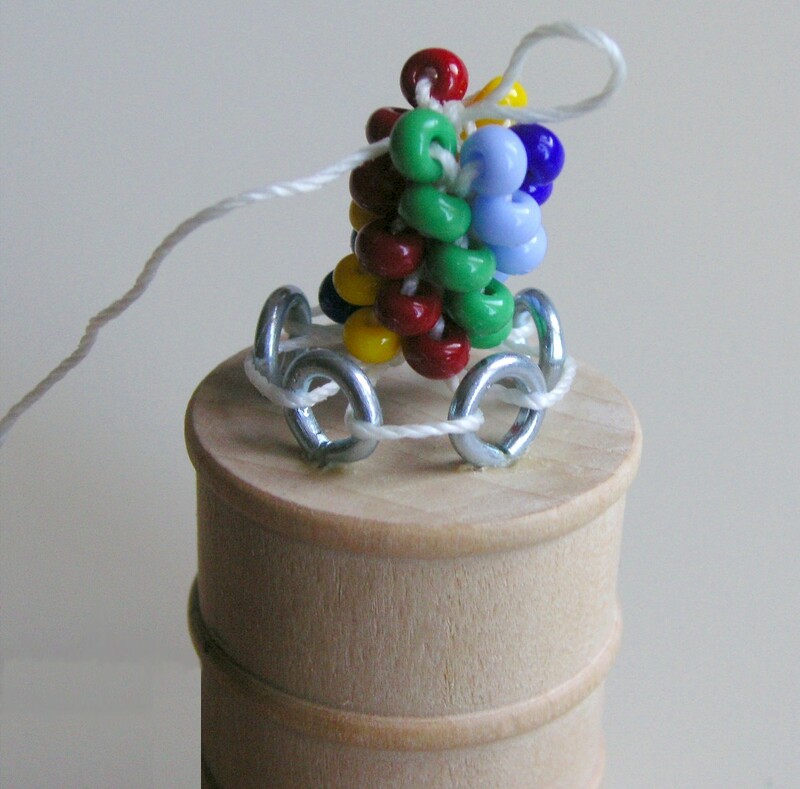 Bead Crochet Starter Jig - Patent Pending! In 2010, I also made a real effort to finesse the design and tutorial for my Bead Crochet Jig (which I sell in my Etsy store), and in April, I filed the papers starting the process for a patent. I’ve been teaching classes with it, selling it online and at shows, and I’ve started wholesaling it to stores. This has been a great learning exercise, and I am looking forward to expanding my wholesale to more stores and distributors. Like other artisan jewelers, 2010 has been a real wake up call to factors that we can’t control. 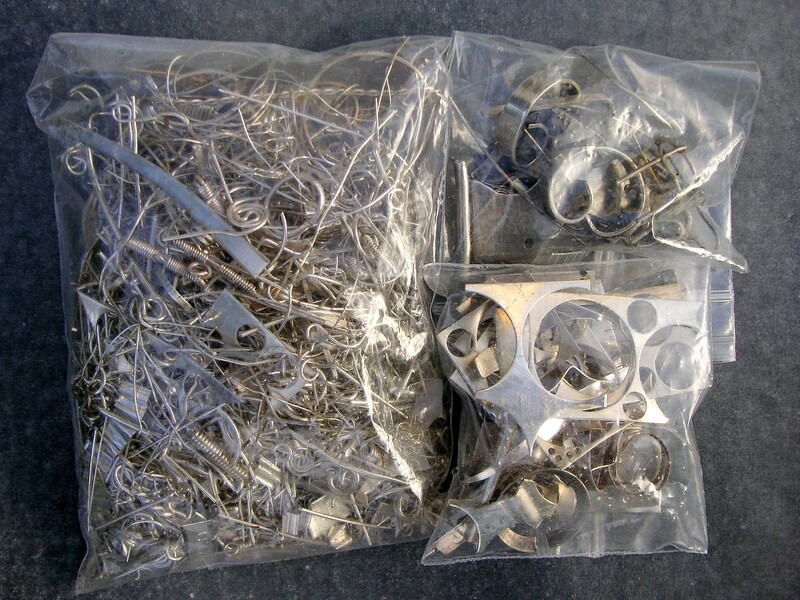 I’ve been watching the silver market, and getting anxious about how I’ll be able to continue working with quality materials when the prices keep spiraling. Since I buy my sheet and wire in bulk 2-3x a year, it hasn’t had a great impact on me yet, but my next purchase will probably be double what I paid for it last time around. About 2 Years of Scraps! 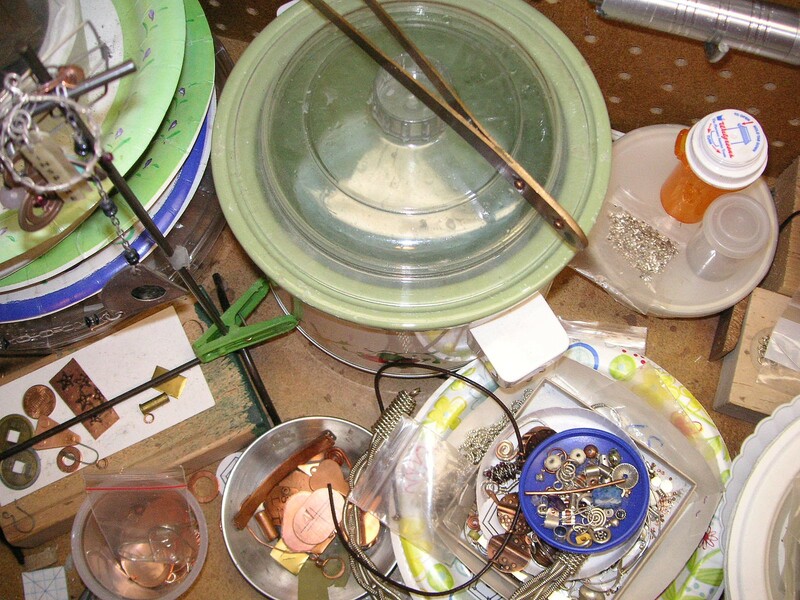 My final “end of year” activity is always the same – it’s clean up time in the Studio! I get very accustomed to working in my own chaos, and this year is waaaaaay worse than any previous years, so it will take me a lot longer to organize, clean, and trash my work closet. Usually my workspace isn’t nearly so bad , but take a look at what I need to get thru this week! There is absolutely NO surface space at all – I have to remove storage items and plates with works in progress in order to make room to work…. very much a PITA! I can’t even think of doing any soldering with spending 20 minutes to remove the piles first…. The mess at the back - Part I! The pickle pot is totally surrounded by bits and pieces of silver and copper. Small things I’ve played around with and put down, not quite sure if they should be discarded or left for future play. The mess at the back - Part II! 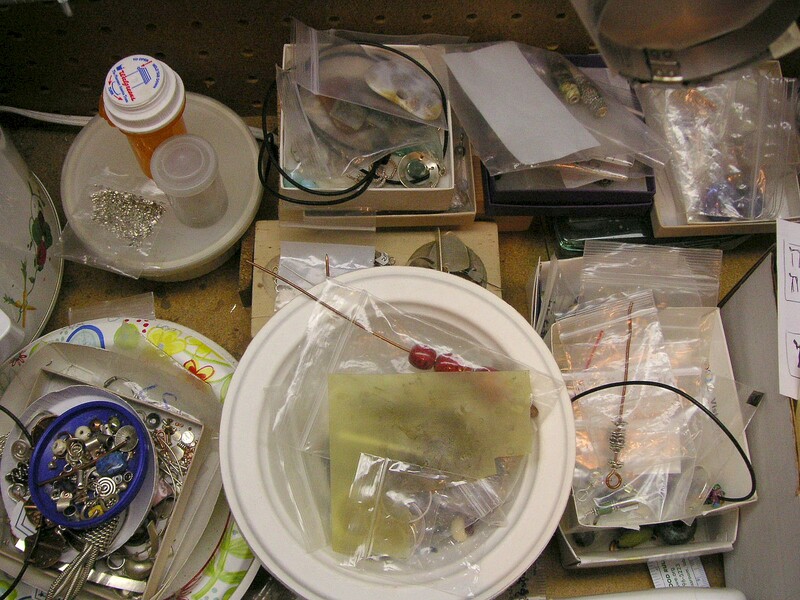 I seem to always have plastic ziplock bags with a few things in them – beads, and threads, and things from the hardware store…. fun things that have no home yet. I pile them onto plates, then pile the plates up, to make it easy to move them around. And sometimes when I start a project, I put all the pieces on one plate, so that I can stack it up instead of trying to put the pieces back…. it’s gonna take a real long time to make this space usable again! Within a week – this should be nice and clean, ready to start the New Year off with space that will inspire – rather than hinder – creativity. I promise to post a few pics once it’s done! And until then – have a great New Year! I love seeing where people work, so I thought I’d post a photo of my shop. Since I have absolutely no room, I converted a closet into a workshop, complete with worktop, side shelves, lighting and electric, some storage (never enough! 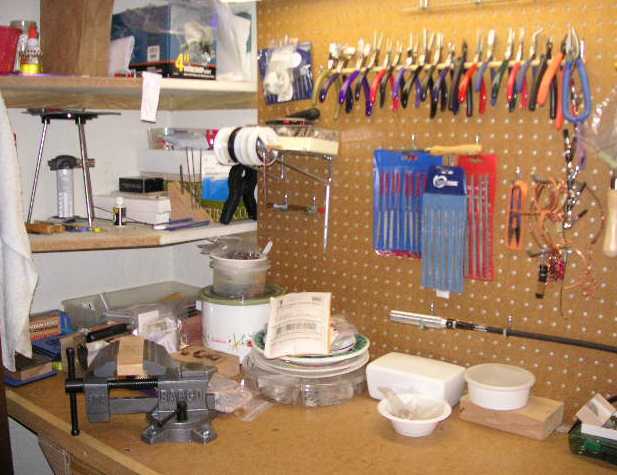 ), a hook for my flexshaft, and a pegboard backing for tools. I hope you find some of these ideas useful in your work area. Just for reference, this is the neatest it has ever looked! At the moment, there is about 6 inches of surface visible – the rest has projects in progress piled up on paper plates! 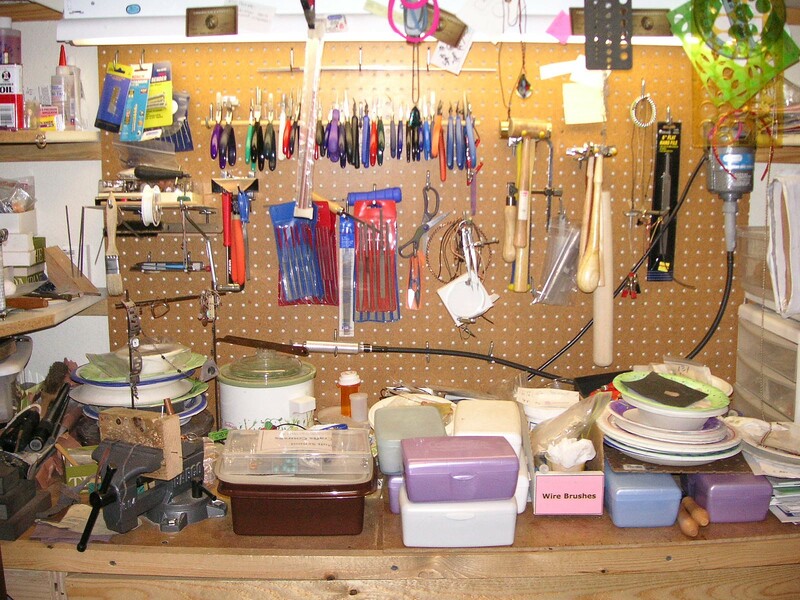 This is just a photo of the left side – I’ve got my soldering tools (tripod, torches, charcoal, etc…) located on the middle shelf. 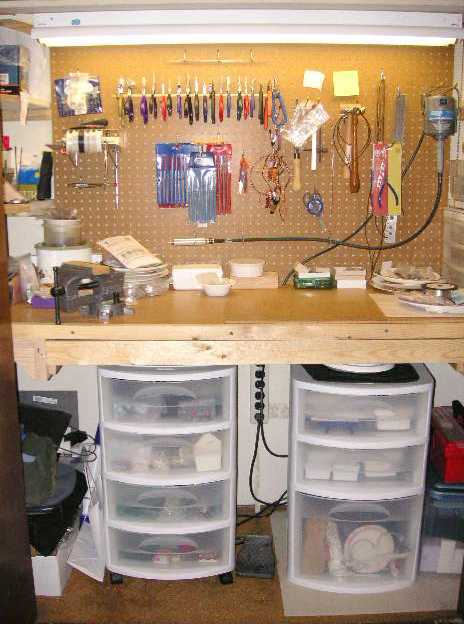 I dream of a bigger space – there is no room to keep my soldering and metalworking tools out – but it is a great set-up in a very small space.